The City of Palmdale hosts three blood drives annually in conjunction with its employee wellness program. PALMDALE – There are still spaces available to donate blood at the City of Palmdale’s American Red Cross Blood Drive this Thursday, October 3, from 9 am to 3 pm. The American Red Cross Bloodmobile will be stationed at Poncitlán Square and will accept donations from both City of Palmdale employees as well as residents who wish to give blood. All donors will receive a pair of tickets to the Laugh Factory. “To make a donation, please call me at 267-5229 and I’ll reserve a spot for you,” Inman continued. Each year, the City of Palmdale hosts three blood drives as part of its employee wellness program. 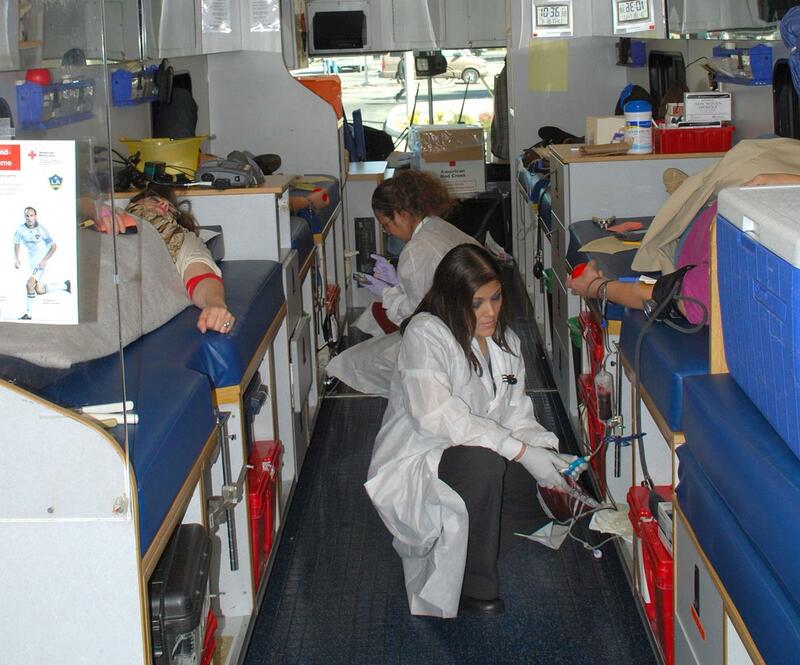 In 2012, City of Palmdale employees and residents combined to donate 95 pints of blood to the American Red Cross. “According to the statistics, for every pint of blood donated, three lives can be saved,” Inman said. 1 comment for "Palmdale to host blood drive this Thursday"
I would definitely do this, if they didn’t always do it during work hours. Maybe they should set it up somewhere from 2pm to 8pm. I would be there!